ChromeEd editor is the basic tool used for creating maps for Chrome. It allows creating singleplayer as well as multiplayer maps. This editor is also the primary tool for any sort of modifications of Chrome. The editor is based on modules, which means that it is possible to expand it with so called plug-ins. 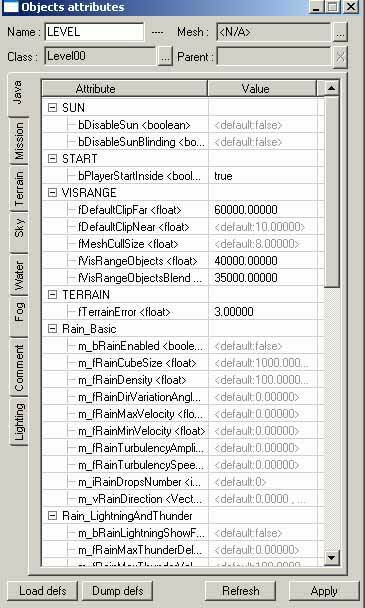 Users get the editor with a few ready plug-ins, such as a plug-in used for generating terrain (based on height map), a plug-in for generating plant life, or a plug-in for creating films. 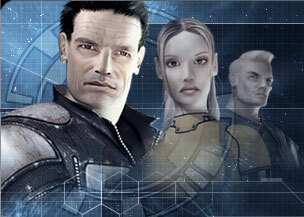 ChromeEd differs from other well-known editors such as WorldCraft (Valve Hammer Editor) for Half-Life or UnrealEd for any game based on the Unreal engine. In ChromeEd the user puts together a map from readymade elements (elements made with other programs). Because of the fact that the logic of Chrome is based on the Java language, ChromeEd also uses that language and refers to all Java classes of Chrome. When first looking at the editor, it resembles 3D software, for example 3D Studio MAX, mainly because of the division into four separate windows. These windows can be freely configured by the user - it is possible to look at the map from different views, for example from the top, side or from the front. Usually the perspective view is used. Another tool, which resembles tools used in 3D programs, is the so called Gizmo. It is the basic tool used in object transformation. Using Gizmo the user can move objects around the map, turn them around, as well as scale them. The Gizmo itself can be scaled, which makes it more comfortable to work with the editor. Creating each map starts with using the "Environment" plug-in. It is one of the most important plug-ins in the ChromeEd editor. Using this plug-in it is possible to generate a terrain map, for example based on the height map prepared, for example, in Adobe Photoshop), it is possible to adjust the size of the map (Chrome can generate and use maps as large as tens of square kilometers! ), add color map to the map (it is a texture covering the terrain, color map is prepared in Corel Bryce), add detail map (it is a texture that the player sees in his immediate environment). 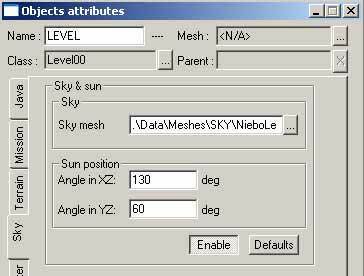 Furthermore, using the "Environment" plug-in it is possible to add sky to the map and define the position of the sun on the sky. 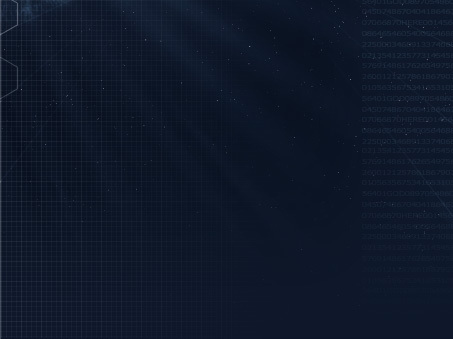 Another important element of the "Environment" plug-in is the possibility of adding water to the map and generating waves on the surface of the water. 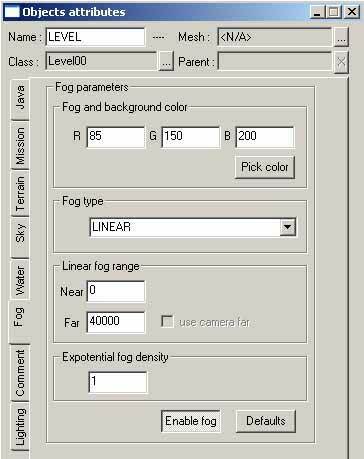 Using the same plug-in the user can add fog. 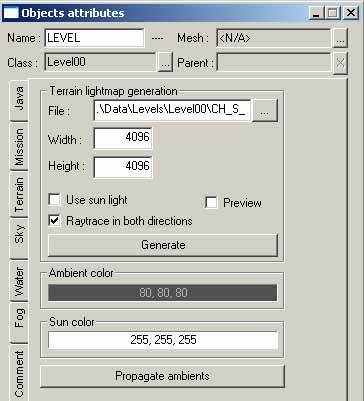 When the map is ready, it is necessary to generate lightmap, which is also done using the "Environment" plug-in. The same pug-in can generate rain or snow. It is possible to create something like this. Of course it is necessary to put some effort in order to create the effect as on the picture above, but with the help of a large tutorial, which is available for the ChromeEd editor, creating new maps should not be difficult. 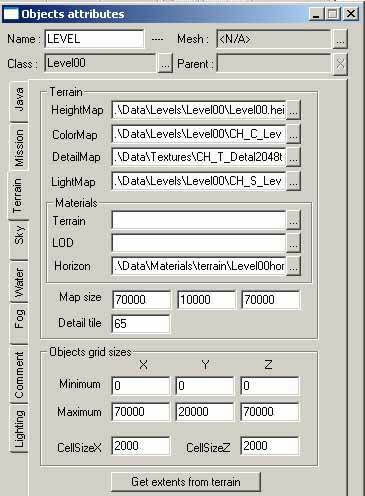 The map generated with the "Environment" plug-in can be further modified using the "Terrain" plug-in. 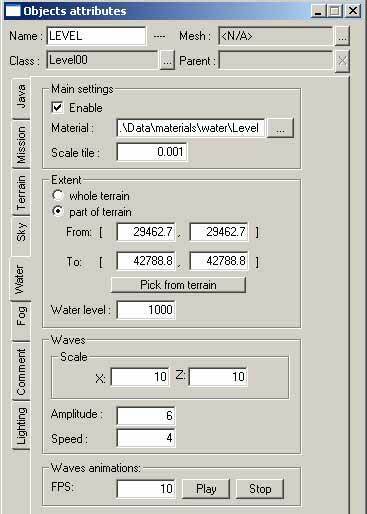 With this plug-in it is possible to smoothen out the terrain, add hills or valleys, etc. Work with this plug-in is quite easy because it basically comes down to holding down the left mouse button and moving the mouse down (to create valleys) or up (to create hills).